If front loading washing machine is not your thing, then, we suggest you take a look at this IFB front loading washing machine. IFB is popular for their front loaders, but not many know about their premium top loading washing machine. So, if you’re in the market looking for a premium top loaders, then, this is a washing machine you should probably invest. High-end with its looks and specifications, this IFB front loading washing machine is for premium consumers. Let’s talk about the IFB top loading washing machine specifications. It offers an 8 Kg load capacity, which is ideal for a big family. With a 720 rpm spin speed, the motor on this IFB washing machine promises faster effective drying time. Equipped with a special rustproof drum, IFB claims that drum on their top loader has high durability index. Thus, it lasts longer and gives you great return in form of a cleaner laundry. Are you wondering about the IFB top loading washing machine price tag? Well, it is priced below 30,000. 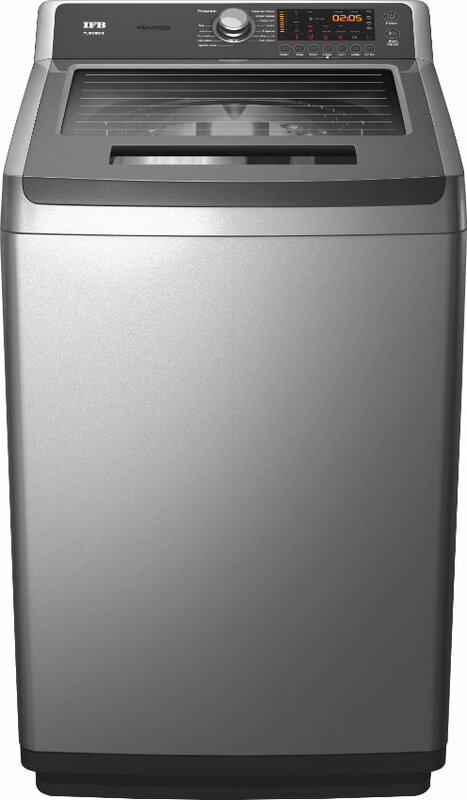 IFB TL80SDG 8 Kg Fully Automatic Washing Machine full specs and reviews as of Apr 2019. Buy it here!